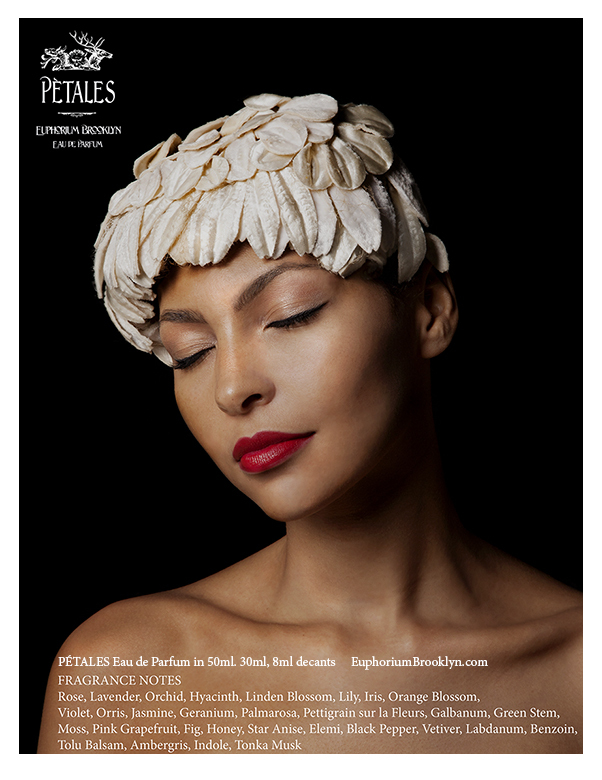 Tal Shpantzer’s petal portraits, each featuring a woman paired with a flower, are striking in their apparent simplicity and richness of detail. 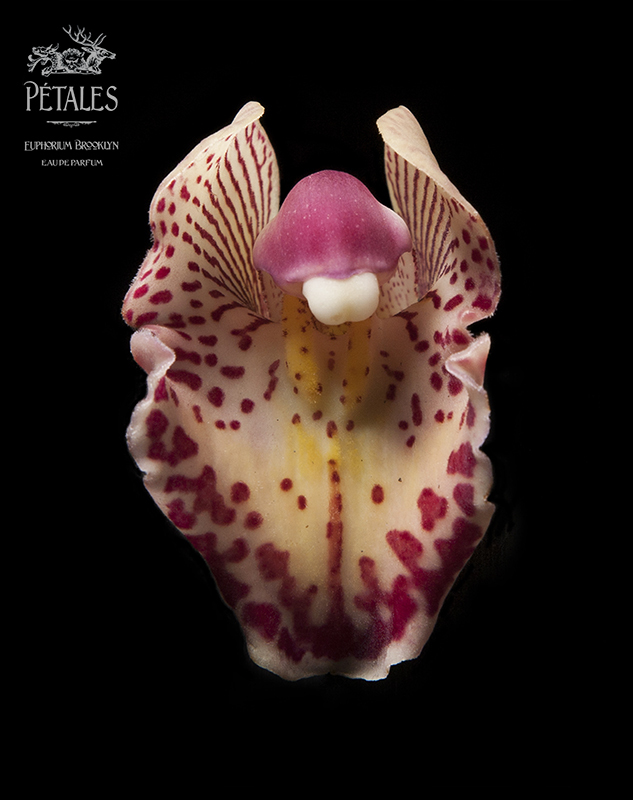 The portraits both engage with and challenge our traditional notions of flowers as symbols. 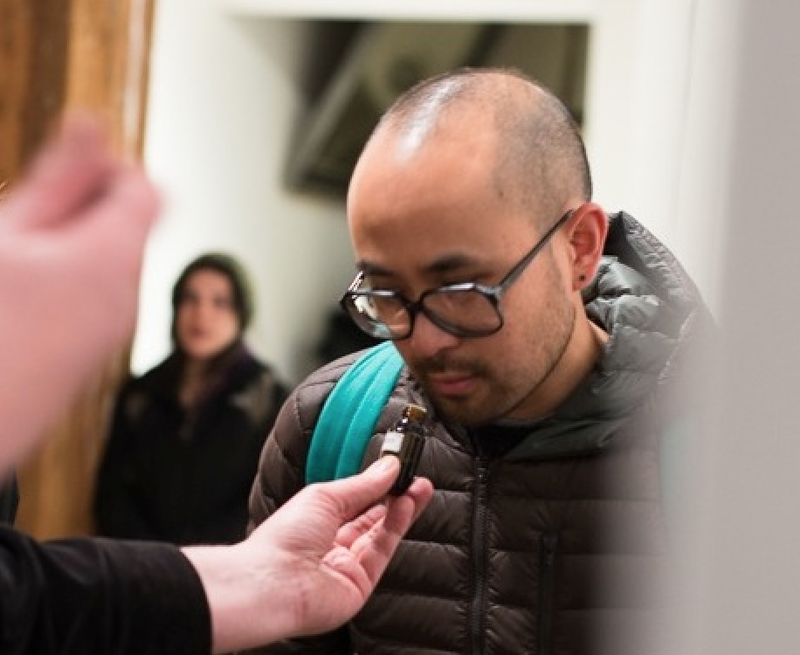 “My principal interest,” Shpantzer says, “is exploring moments that are undefined on sensory, emotional, and psychological levels. 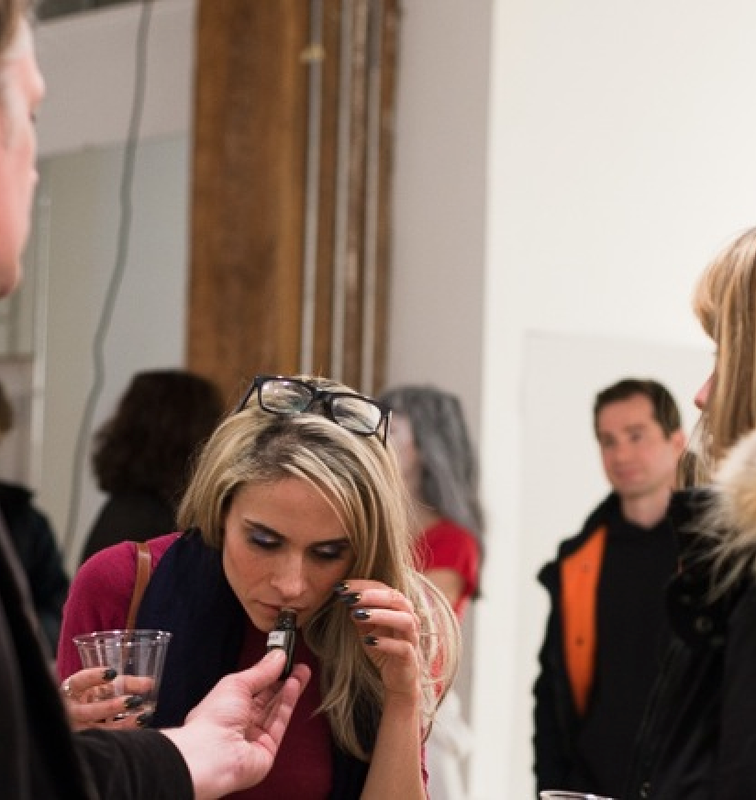 I am fascinated by the dialogue that arises from and intersects with expressions of uncertainty and states of transience. Euphorium Brooklyn presents a perfumer’s talk on “PÉTALES” Eau de Parfum, a fragrance inspired by the “Petal Series” of portraits by Tal Shpantzer. 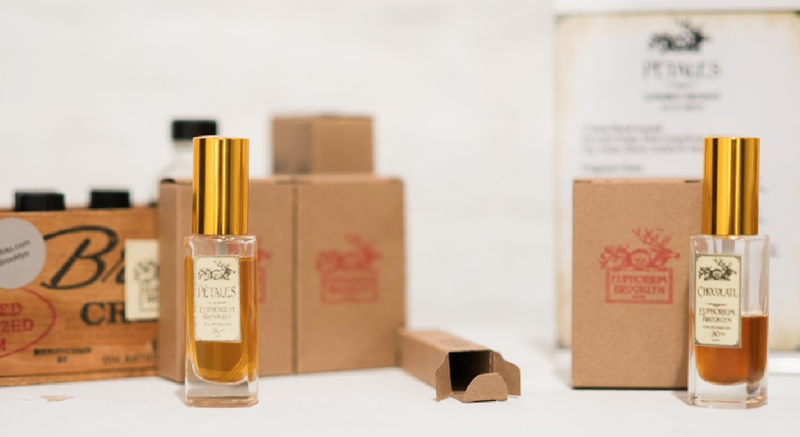 Informing both the fragrance notes and the conceptual background to the perfume. 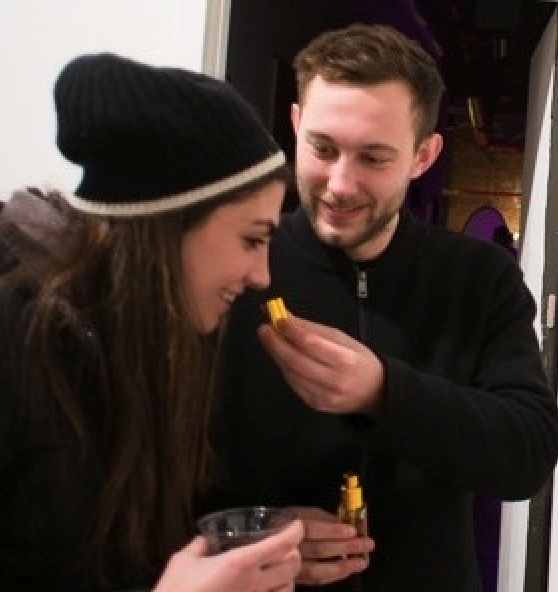 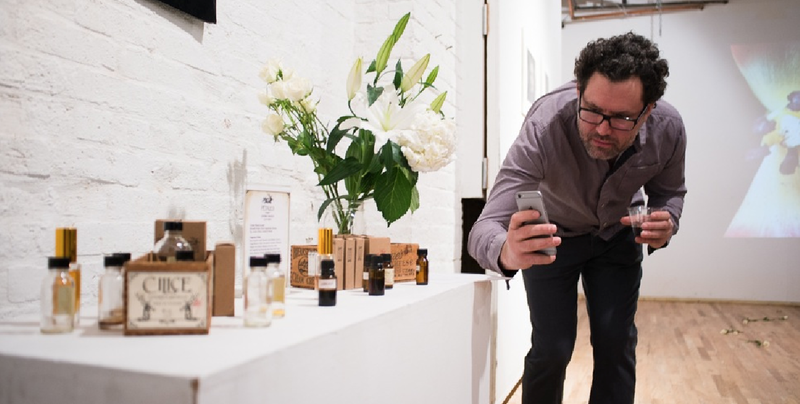 Stephen Dirkes will present the perfume and describe the process of the collaboration. 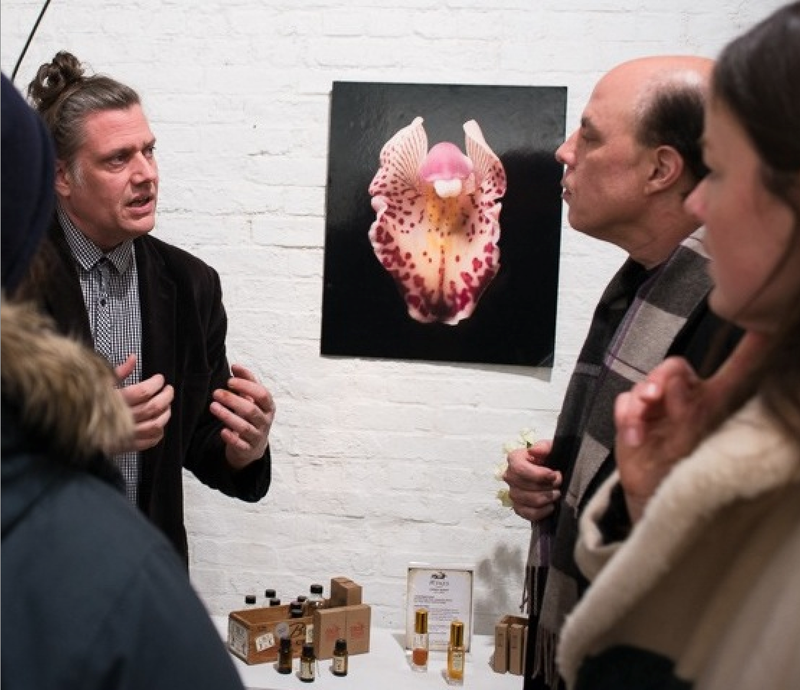 Euphorium Brooklyn perfumer, Stephen Dirkes says, “I was inspired by Tal Shpantzer’s Petal Portraits and the dark, moody, complex world of light, shadow, context, and communication they evoke. 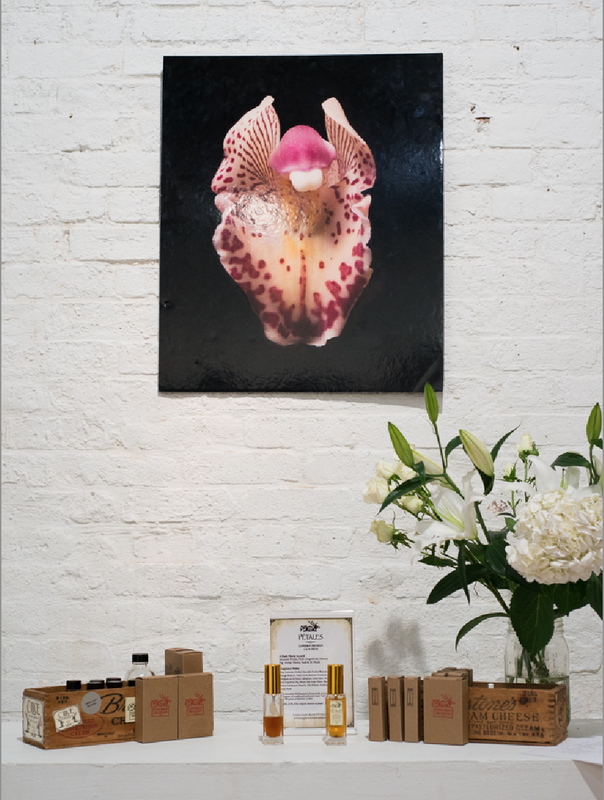 Tal’s photos created a new way for me to regard and approach the idea of a floral fragrance. 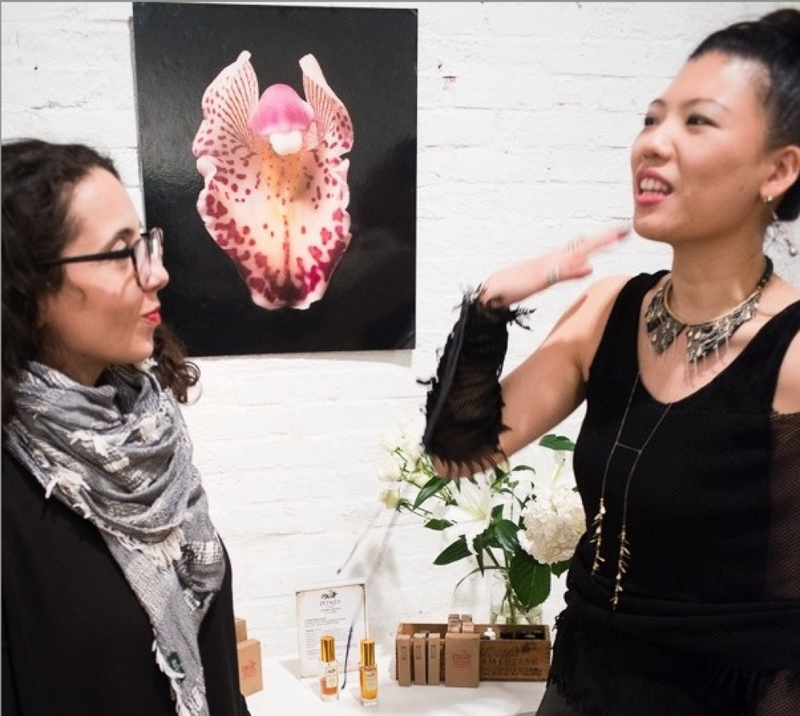 I had the wonderful opportunity to work with Tal extensively to incorporate her personal background, influence, and scent palette in developing PÉTALES Eau de Parfum, a complex layering of 50 different perfumery materials. 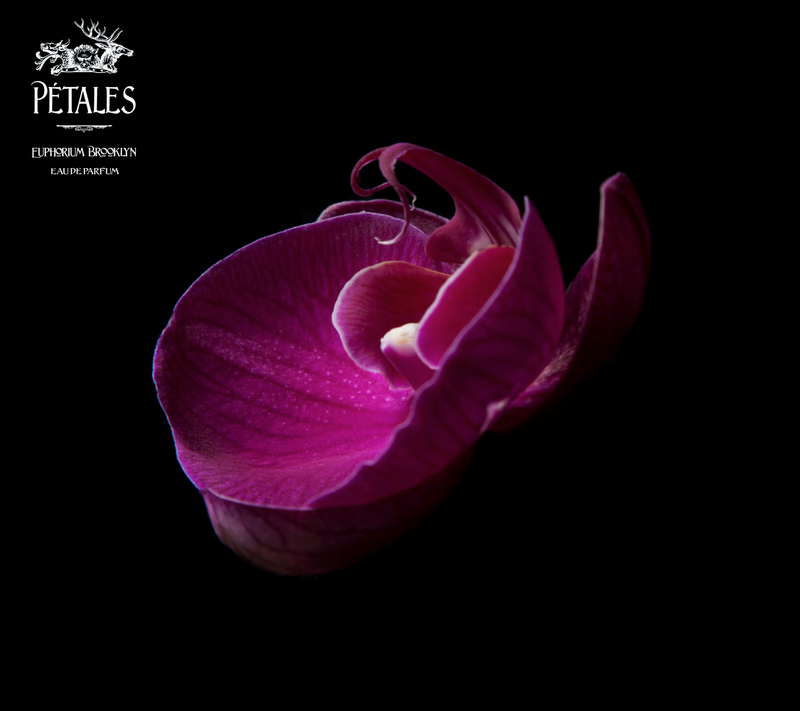 Learn more about PÉTALES Eau de Parfum. 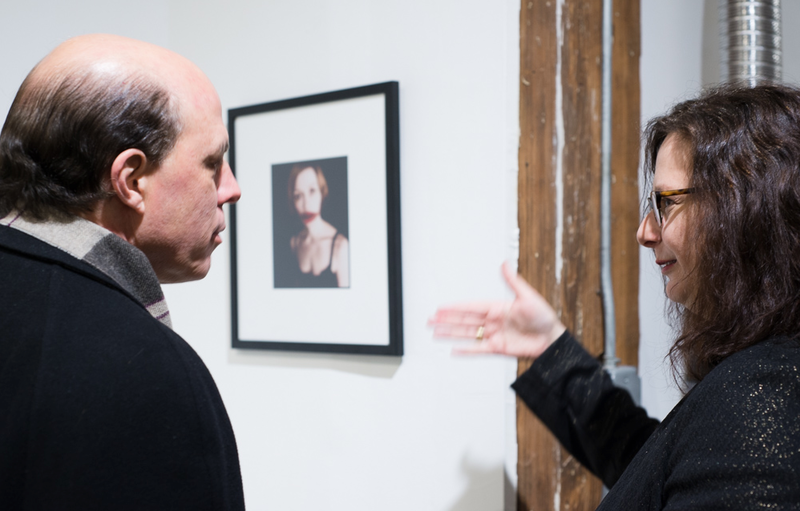 Tal Shpantzer is an award-winning Brooklyn-based fine art photographer, recognized both internationally and nationally. 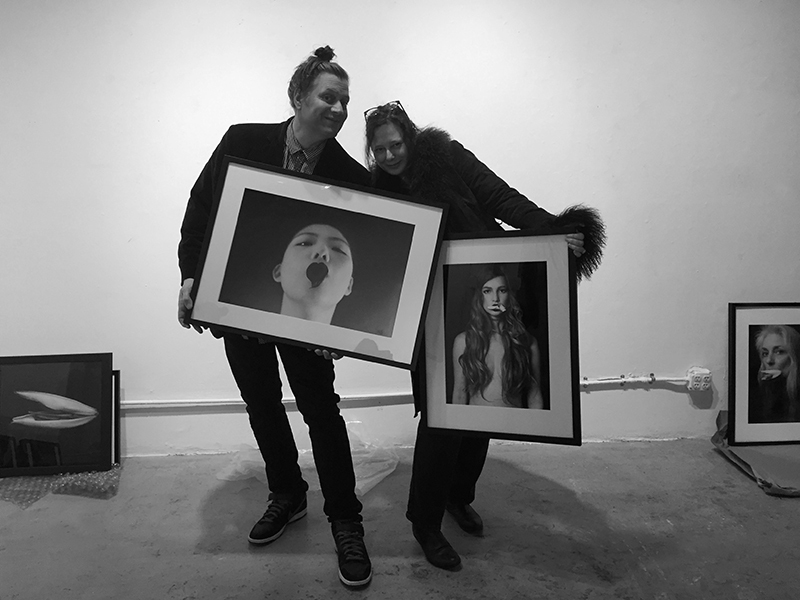 Shpantzer’s images have appeared in W Magazine and in Vogue Italia, Beautiful Savage, and Topman Generation magazines, and recently were featured in HBO’s hit show True Detective. 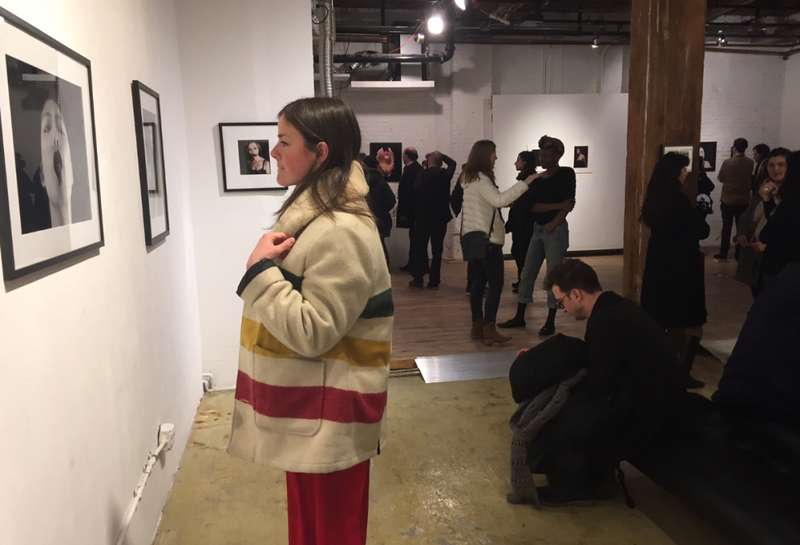 Shpantzer’s narrative photography explores the subtle dialogue that emerges from the intersection of ambiguous moments, states of uncertainty, and transience. 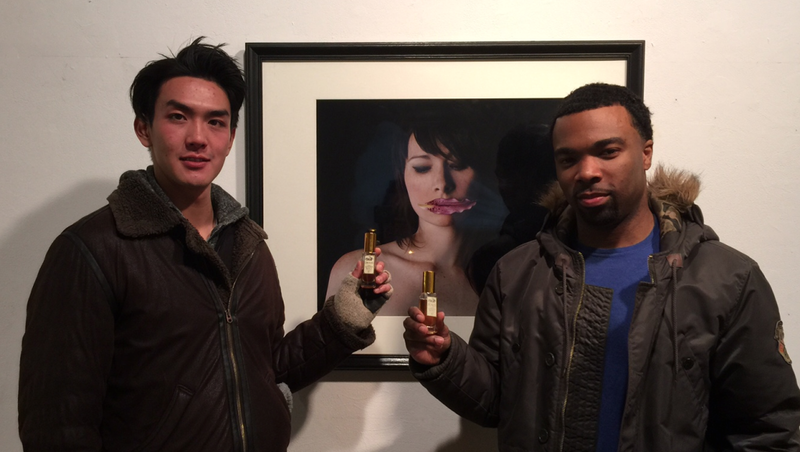 Perfumista and Cafleurebon.com representative, Hernando Patrick Courtright came out to support and experience the show. 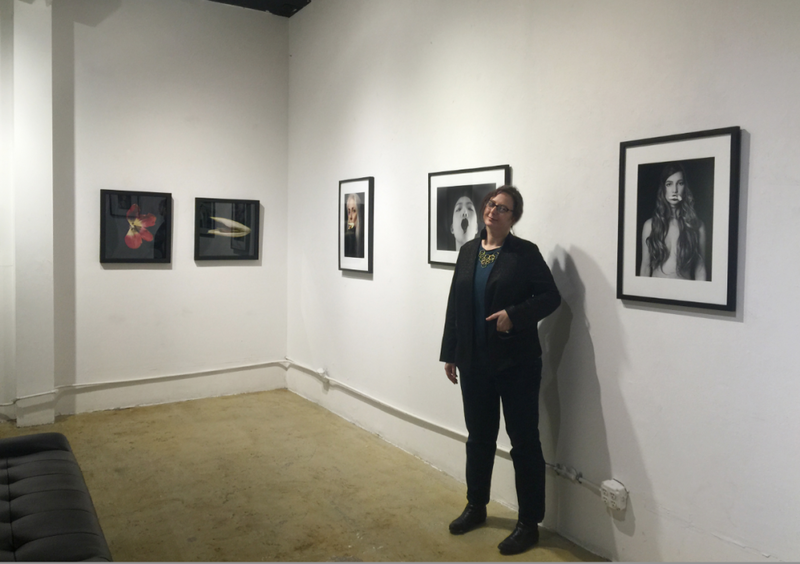 Shpantzer’s eye for telling detail is especially noteworthy in her portraits of women and children who, in their most guarded and vulnerable moments, offer viewers a brief look into their personal lives. 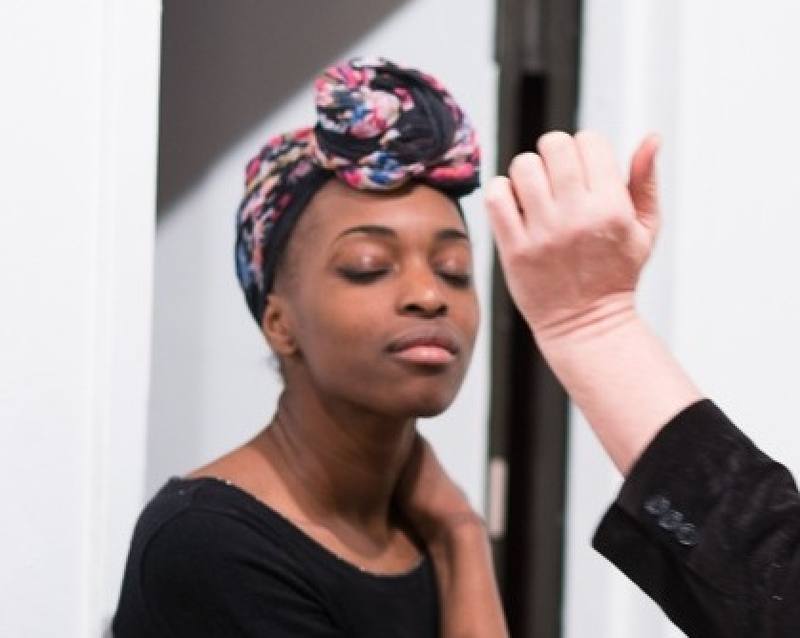 Vangeline is a dancer and choreographer, and the artistic director of Vangeline Theater Company in New York. 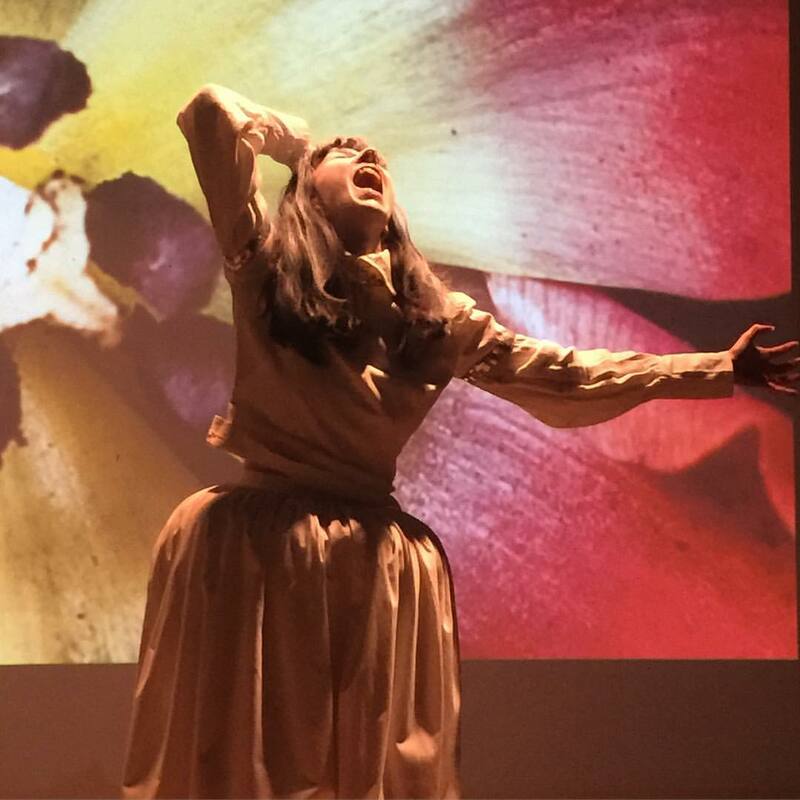 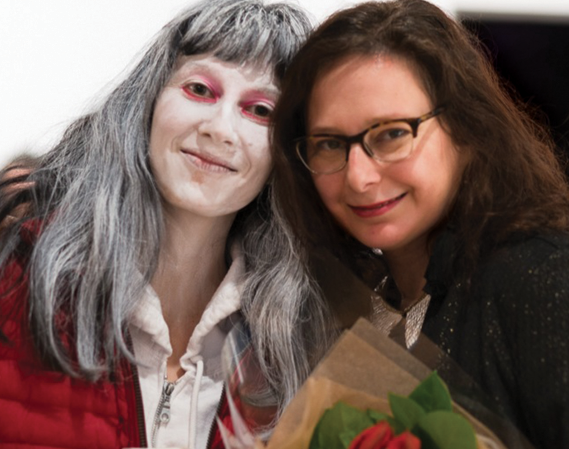 A specialist in the Japanese dance form Butoh, Vangeline’s performances have been described as “captivating” by The New York Times. 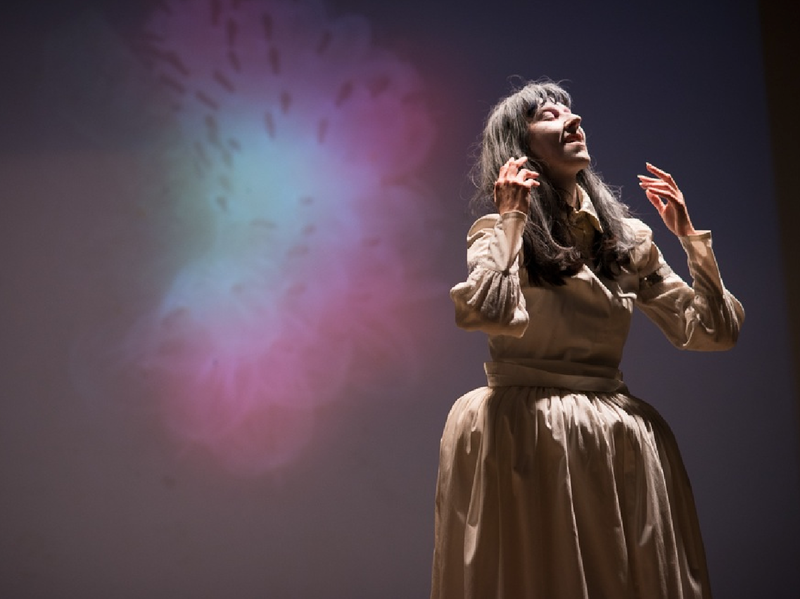 For this event, Vangeline interprets Shpantzer’s The Petal Portraits with video projection. 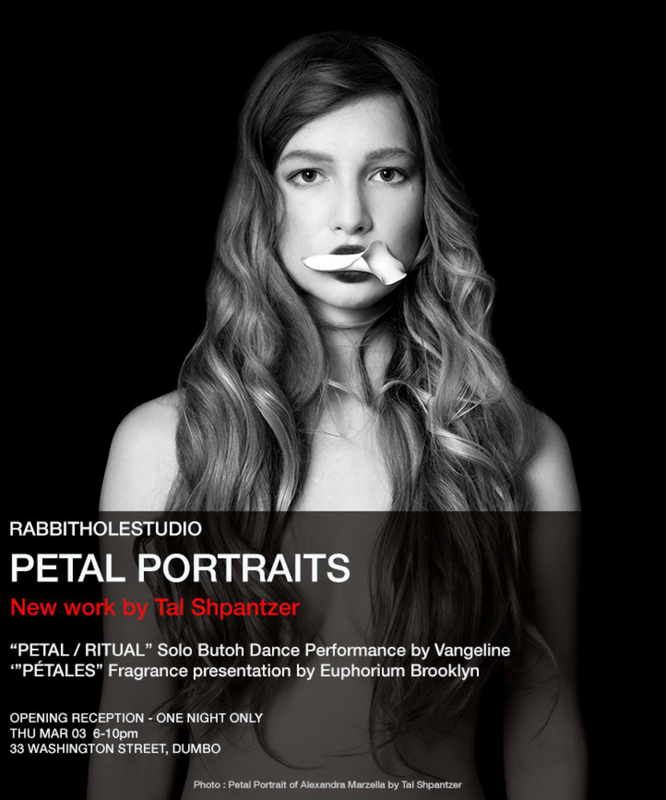 Based on movement and gesture from her piece “Ritual”, Vangeline explores the imagery and portraiture of “PETAL PORTRAITS”. 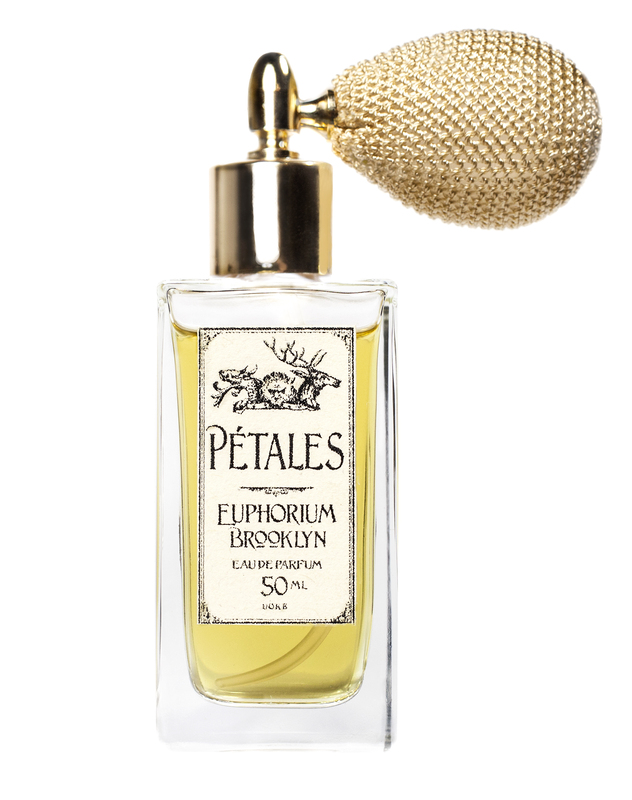 Stephen Dirkes’s Euphorium Brooklyn, a perfume house, is a world inhabited by fictional perfumers who use fragrance as a storytelling device to evoke historical detail and bizarre intent. 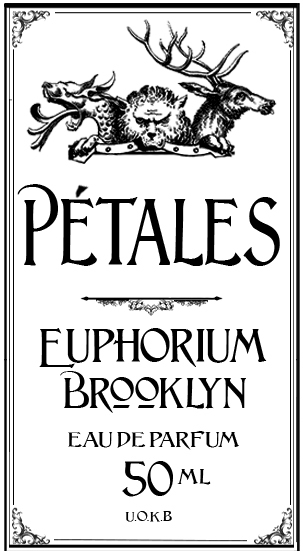 PÉTALES the fragrance is a multi-layered abstraction and interpretation of elements of Shpantzer’s work, conveyed through the voice of Etienne Cheveruil, a fictional 19th-century perfumer from the Euphorium Brooklyn. 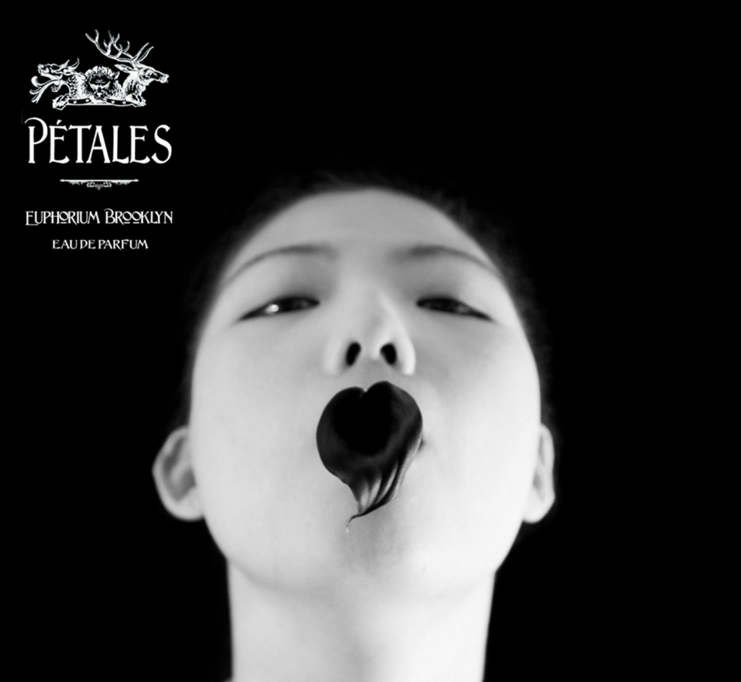 PÉTALES 50ml and 30ml decants available at Twistedlily. 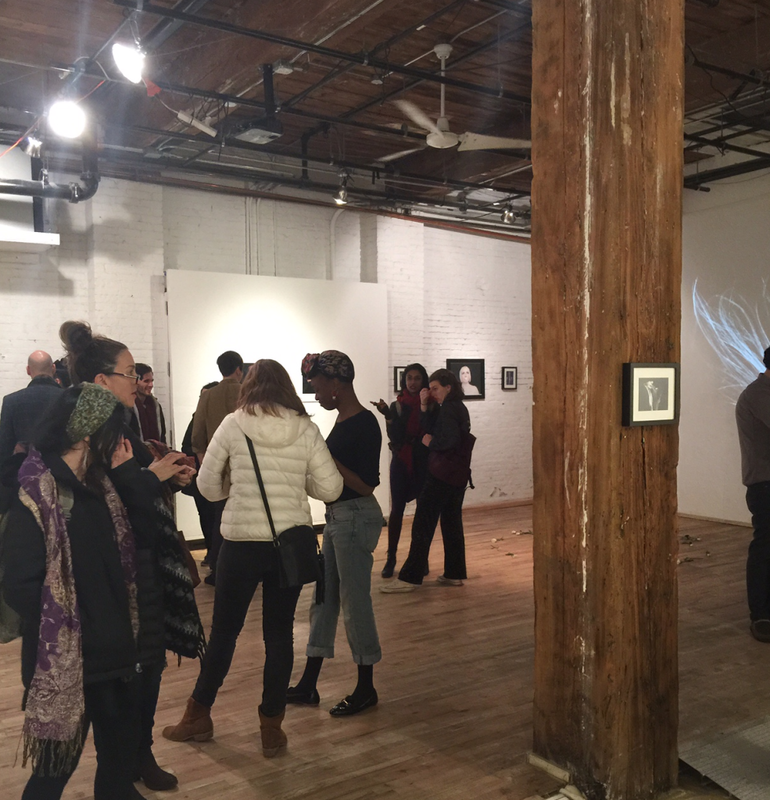 A special thanks to Shawn Lyons, Ana Maria Camejo and the Rabbithole Gallery team for hosting the event and for all the years of supporting our creative endeavor. 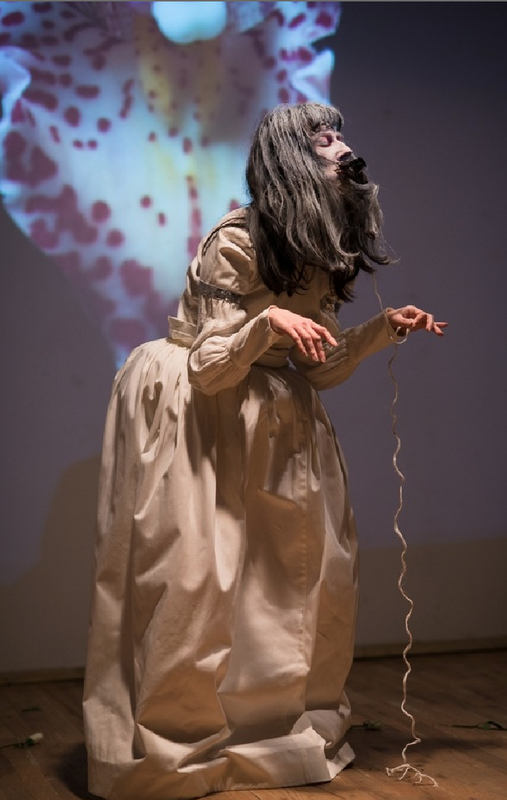 Big thanks yous to Serge Cashman for his wonderful photography of the night featured here. 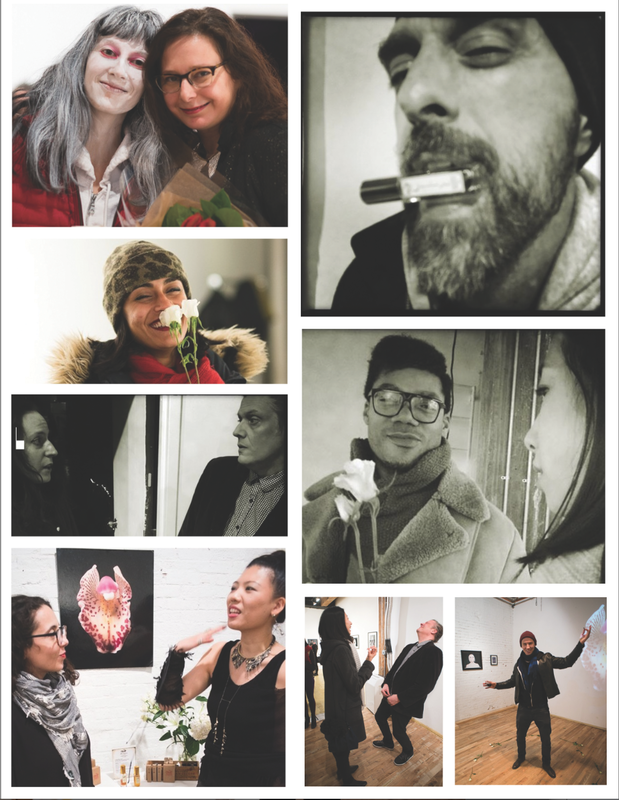 Thank you so much for the great turn out and support from so many friends of Art, Olfaction, and much in between!